A South Australian artwork selected for showing during the prestigious Venice Biennale combines sculpture, moving image and sound to bring to the fore the fragility of the planet, writes the Art Gallery of SA’s Lisa Slade. On Bunganditj Country in the state’s south-east, there is a lake containing rare, rock-like thrombolites – microbial structures that grow in shallow pools and release oxygen. Thrombolites were the only living organisms on earth for three billion years and they are responsible for creating the beginnings of the atmosphere of our planet. Artists James Darling and Lesley Forwood first received the tip-off about this extraordinary place, not far from their farm on the Limestone Coast, from an ecologist. As they waded through the shallow water towards the thrombolites, thousands of water birds took to the air. Darling describes the experience as “ethereal and other-worldly, timeless and endless, with air and water merging without demarcation”. The experience spurred the artists to consider how this phenomenon might find expression, not as nature study or science, but as art. The answer to this question is Living Rocks: A Fragment of the Universe, an immersive work of art where sculpture meets moving image and sound. Since the 1990s, Darling and Forwood have been making large installations that celebrate the whorl and the helix of the roots of the arid land eucalypt. Their practice began when government policy demanded that they clear their agricultural land on the south-east of native vegetation. They responded by conserving the roots of the mallee eucalypt to make art, and have shown their work to audiences in Australia and across the globe. But Living Rocks required more than mallee roots. Enter Adelaide-based virtual reality company Jumpgate VR, led by Anton Andreacchio. In conversation with the sculptures positioned within a 30m- long pool of water engineered by South Australian designer Rob Cooper are images made in collaboration with Jumpgate VR. The installation is accompanied by the evocations of Paul Stanhope’s String Quartet No 2, performed by the Australian String Quartet. Constantly in motion, the images render what has never been captured – the beginning of life on our planet three billion years ago. Uniquely South Australian, Living Rocks: A Fragment of the Universe was first shown last year at Hugo Michell Gallery in Adelaide, where the artists have shown their work since 2010. Now it has been selected as one of only 21 Official Collateral Events of the 58th International Art Exhibition – La Biennale di Venezia 2019. 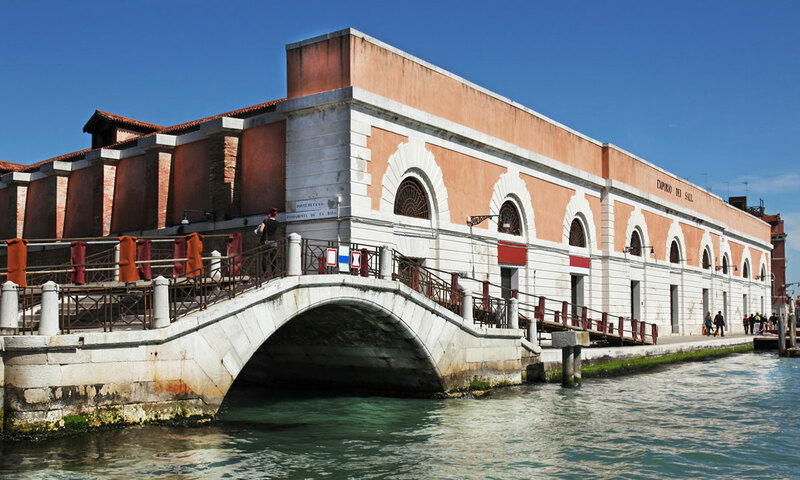 In Venice, the work will be on display from May 8 until November 24 in the Magazzini del Sale, the historic stone salt storehouses that have stood the test of many an inundation. Established in 1895, the Venice Biennale is often described as the Olympics of the art world but it actually predates the first modern Olympics. It includes curated exhibitions, dedicated national pavilions and official collateral events, and is held every two years from May until November. South Australia is no newcomer to Venice. Fiona Hall was selected for the Australian Pavilion in 2015 with her work Wrong Way Time, which was described by critics as a “must see”. That major installation grew from Hall’s work in the 2014 Adelaide Biennial of Australian Art. (It’s worth noting that Angelica Mesiti, selected to represent Australia in the national pavilion this year, was included in the 2018 Adelaide Biennial). Other South Australians from past pavilions include Trevor Nickolls and Yvonne Koolmatrie. Living Rocks: A Fragment of the Universe is the only Australian project selected as an Official Collateral Event this year. Chosen to fit within curator Ralph Rugoff’s theme, May We Live in Interesting Times, the installation links the present to the beginning of life and brings to the fore the fragility of the planet. Living Rocks is curated by assistant director, AGSA, Lisa Slade, and the Art Gallery of South Australia is the official promoter of the event. The project receives AGSA support and is funded by the artists and their collaborators, with public donations also being sought through an Australian Cultural Fund campaign. Leading scientists Professor Dr Robert Burne, Emeritus Professor of Earth & Environmental Science at the Australian National University, and Professor Malcolm Walter AM, FAA, Emeritus Professor of Astrobiology School of Biological, Earth and Environmental Sciences, University NSW have been advisors to the artists.